On entering Mariana and Atilla’s “Gelato’s” in the heart of Uvita, you are immediately reminiscing about your childhood. In July, the popular ice cream parlor next to the Sibu Restaurant was opened and has received positive feedback from young and old. Lovely details and a cozy interior are creating a French flair in a vintage style. Marianna, who originally is from Guatemala, has been living in Costa Rica for 5 years. Eleven years ago during her studies abroad in Hungary, she met her husband Attila. The idea to open an ice-cream parlor came to her through her travels in Europe where she was able to gather inspiration for her unique recipes. “From the beginning, we always wanted to make gelato. Our philosophy is to create the best flavors with natural ingredients. For one year I only cooked gelato for testing. I created recipes with inspiration from all over the world” explains Mariana. In addition to the delicious gelato, they also offer banana split, milkshakes, bananas coated in chocolate and waffle bowls. Moreover, they have a lot of flavors for vegans and people who because with allergies who are normally not allowed to eat ice cream. 80 percent of her ingredients come from her organic partner farm, the “Villa Vanilla Farm” in Quepos. “We are not working with chemical processes. Gelatos are usually prepared in laboratories, the only thing you have to add is milk and sugar. They have good gelato machines and it makes a good texture, but the flavor will never be the same“ Mariana points out. Mariana also emphasizes the difference between ordinary ice cream and gelato. Gelato is stored at higher temperatures, which makes the taste more intense. Furthermore, gelato is creamier, and the preparation is more complex. The process for one recipe takes four days and everything is homemade. “What I sell here is my world, this is what I am. When you are enjoying the ice cream, this is me” Mariana proudly explains. Coming soon: Official Grand Opening! 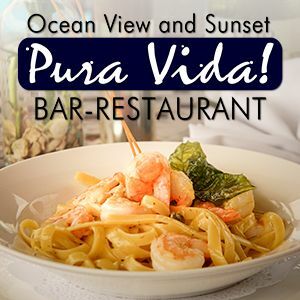 Posted in Activities, Costa Ballena, Costa Ballena Restaurants, Events, Food, Health and Exercise, Uvita, Uvita Restaurants and tagged Candy, food, Icecream, restaurant, uvita.